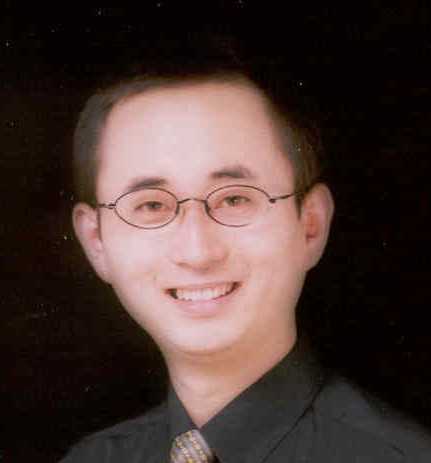 Yet another DRMNA exclusive - an interview with Allen Liang, Sales VP for CDNSE! Allen, How long has CDNSE been working on DRM receivers? What other products do you manufacture? CDNSE has been established in 2006 and focusing on applications using DRM technology. Besides the developments on the DRM receivers, CDNSE has been working on the DRM contents sever for its own development needs and production line testing needs. Based on the DRM technology, CDNSE also developed a unique hardware and software architecture to connect two computer systems through digital radio link over thousand kilometers directly without relays at very low BER (under 10-7). Do you have any development partners? CDNSE is majorly a design house for developing products based on DRM technology and ASICs once the market is ready. CDNSE has developed its own hardware, DRM decoding software, AFS functions and emergency warning system with members from DRM Consortium. CDNSE worked with Thomson and Fraunhofer for the Diveemo project. 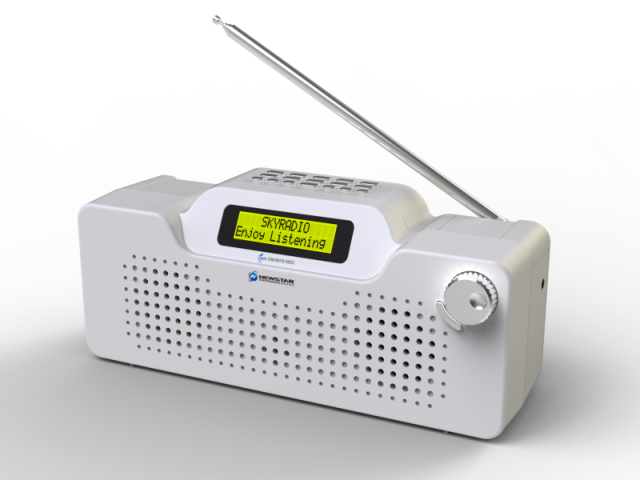 We also worked with Fraunhofer to implement the Journaline in our DRM receivers. What makes the CDNSE DRM receivers unique? CDNSE's receivers are based on flexible SDR platforms with excellent compromises among performance, cost and computation complexity. Our designs are focus on user friendly with good reception and affordable pricing. We believe that we offer the best quality receiver at most affordable price at current time. DRM is a revolution from current analog AM broadcast, not an evolution, so we have to use a new approach to design the DRM receivers. At the market introducing stage, it is very difficult to find a good sample receiver as reference. We have to try and test many designs by ourselves. For example, one of the challenging topics is the design of the user interface. We have done a lot of survey and only found that the old people like the original radio interface with frequency dial, but the young people attempt to use the station name to select the stations instead of using frequency dial, also we get feedback that the DRM interface should have the interface similar to current cell phone interface. So CDNSE have done many designs even using Android's interface. What we want to say is that we are facing a new market with many new features and possibilities, we do not get clear feedback what is the market needs really, so we have done our best to prepare many design possibilities. Our flexible Hardware and software characters can help us to adapt the changes of DRM receiver needs. Once we get the clear needs we can have the receiver ready quickly. What is the most challenging aspect of DRM receiver development? DRM is the fruits of modern communication. A receiver is a typical SDR which includes RF, ADC, SDR hardware and software. A design team should have experienced analog engineers, IT hardware and software engineers as well as engineers with rich communication theories. Unlike the traditional analog radio, the DRM specification includes four modes, six channel bandwidths, many protection levels and several source encoding methods. If you consider all possible combinations there will be thousands of ways, so it is not easy to check a receiver is working correctly for all the possible situations. Also to meet the RF performances, such sensitivities for SW/MW/LW, selectivity for so many bandwidths, is not easy under digital platform. In DRM standard, there is an advanced feature, which is not in the current analog radio, that there are three continue sine waves for receiver references in each channel, so a good receiver should have the ability to compute and compensate the time variable communication channel in real time in order to get a good performance. It is a complicated communication theory and very computation intensive task. Even FFT computation in DRM receiver it needs some special attention and we have one paper, published in IEEE Transactions on Consumer Electronics of 2010 November issue, .which we gave a detail explanation. What is the main market for the receiver? Do you have plans to make it available in the USA/North America? I believe the main market for DRM will be in Europe, India, Russia and possible in Brazil and Australia. Of course we will consider North America if there is a demand. Do you have any projected time-frame for new model/models? How about projected retail cost? Yes we do. DR 111 is our new low cost desk-top DRM receiver with FM/SW/MW/LW, DRM, MP3 play, Journaline features. We are working hard to finish the pre-production by ourselves before this coming April. The sample may be a little over US$100 because the small quantities and high cost for the manufacture, but as the order quantities increase the sale price will fall quickly. It will be possible well below US$100 in the near future. Once the quantity reaches 500K - 1M sets per year, we can design an ASIC for our system to reduce the cost further. Currently you can order it through our distributor, Peter Senger (previous DRM consortium Chairman), Website or through our website. We are also working on new lower cost Multi-Media DRM receiver, Car Receiver and DRM+ Receiver as well. However, I do not have projected time frame for the new model. It is very depending on the market demand. If we have an order, we can deliver the products within 15 weeks. Could you please give us some background about yourself and CDNSE? I got my MBA degree in New Venture Management from California State University of East Bay, USA. I have been working in a sale position in the USA for more than 10 years. I joined CDNSE as Sales VP since about one year ago to help to promote DRM receiver market. · 2009 teamed with Thomason and Fruanhofer, CDNSE developed world first Diveemor receiver and was presented at IBC. The Diveemo receiver can show a small size video using only 20 KHz radio bandwidth over thousands kilometers distance. · 2012 we will start our DR111 Pre-Production manufacture, and estimated to have available for shipping by April this year. We are also working on to finalize the Car DRM receiver design. Is there anything else you would like the DRMNA readers to know? DRM standard is wonderful developments of rich experienced and talent modern communication scientists' contributions. It is not easy task to design a receiver to show all features specified in this standard. I may be wrong but the fact is the current broadcasters only focus on and test the audio quality. However, I think in order to make DRM success quickly it is very important to push for the good voice and the data service together. Good voice and data service can attract more people to listen and get information from very long distance without using network and relays. Plus the broadcasters can have many new value-added services to offer to the listeners and have additional revenue income. CDNSE has developed many interesting technology such printing ability from radio, speaking pictures for AD applications, WEB page display and so on. Unfortunately CDNSE has not found an interested company to push all these kinds of applications. Now CDNSE is focusing to develop a low cost voice only receivers and move to the manufacture processes. Our current low cost receivers can be much lower than US$100 with larger orders. But the problem we are facing is still a chicken and egg: for consumers, there are not enough broadcasting hours, why we need a new radio and for the broadcaster, there is no good receiver why we need to broadcast for nobody to listen. We also are facing the problem of high receiver cost even our BOM cost is not very reasonable for now because the quantity is not big enough. There should be a group of companies to jump start the broadcasting and receiver market in order to break the impasse. "Xie xie" Allen for the very nice interview. We are looking froward to the availability of your products in North America!